The AirMD network is an environmental testing and consulting group that performs asbestos testing and asbestos inspection services in Montgomery, Alabama. Our team includes scientists and consultants who are asbestos inspection experts. Why do I need Asbestos Testing? Asbestos is still found in some building materials imported into the United States, including insulation, flooring, textured paint, ceiling and roof tiles. Exposure to asbestos can cause serious illnesses like cancer including mesothelioma and asbestosis. OSHA and the EPA both have guidelines that require asbestos inspections and asbestos surveys. The EPA specifies that you must complete an asbestos inspection before any demolition or remodel of a commercial, educational or multi-unit residential building. OSHA requires asbestos testing and asbestos surveys to ensure a safe working environment for all occupants and employees. Failing to meet these guidelines can result in fines and other penalties. The AirMD network of consultants is a leader in the asbestos inspection industry. We document our process, and if asbestos is identified, we provide a protocol for abatement. We do not do asbestos abatement, as it would be a conflict of interest, but we can refer you to an independent asbestos abatement specialist from AirMD’s network of licensed and insured removal specialists if necessary. After abatement, a consultant will perform a post abatement test to make sure that no asbestos remains. AirMD’s network of consultants conducts asbestos inspections, asbestos management plans, air monitoring, scope of work development and post-abatement air sampling. For a thorough, professional asbestos inspection you can trust, call AirMD. Asbestos surveys are required to identify if asbestos containing materials (ACM) exist in a property. The protocol development is a critical component in any asbestos abatement project as it identifies the areas that contain asbestos, documents what areas to remove and documents the health and safety aspects of the project. Understanding local, Alabama and federal regulations is necessary to protect property owners and workers from unnecessary liability. The development and implementation of an asbestos abatement protocol is crucial to the completion of a successful asbestos abatement project. AirMD has completed thousands of asbestos surveys with protocol development on properties including residential, large commercial buildings, governmental, healthcare and municipal buildings. To learn more about Protocol Development click here. 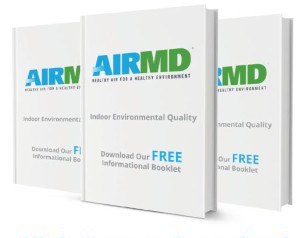 AirMD can help you with all your environmental testing needs and provides the following testing services: Mold testing and mold inspection, asbestos, allergy, bacteria, chemical and VOC testing, lead, heavy metal, pesticide and water testing. To book Asbestos Testing and Inspection for your Montgomery home or business, Click Here. You can also call us at 1-888-462-4763 or 1-888-GO-AIRMD.